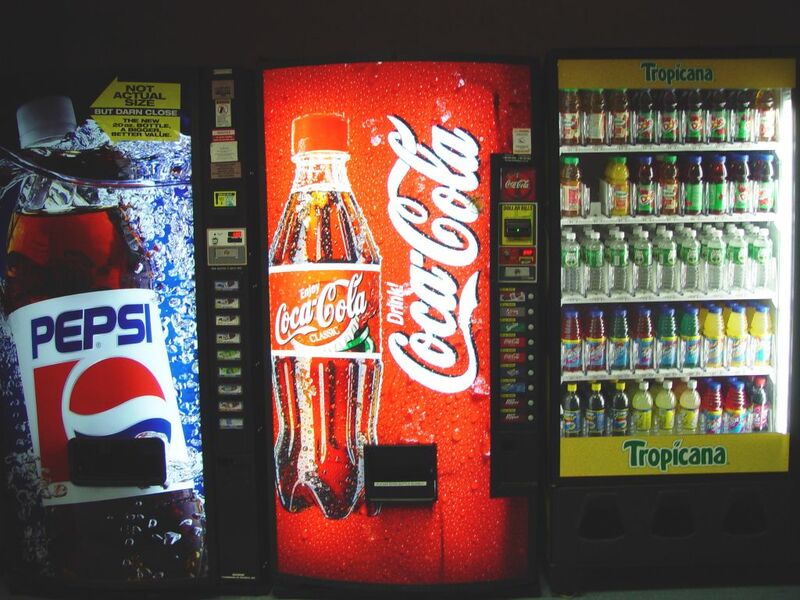 Vending machines are today’s synonym for commercial refrigerators loaded with soda cans, juice and water bottles and various snacks. First commercially presented in the 1880’s in London UK, their sole purpose was selling postcards, stamps, newspapers etc. Since then, product has encountered many changes in both design and usage becoming a signature appliance of hospitals, schools and larger businesses. There are numerous benefits to buying a vending machine and getting into this type of business. We will try to point out only the most significant ones. If you are interested in starting a business but are looking for the one that will offer you higher cash liquidity, the vending machines are right choice for you. There are no headaches over bounced checks or frustrations with bank transaction when managing vending machines. With low initial investment the only real challenge that you’ll face in this business is proper maintenance and security of the machines because like most public machines they are often victims of vandalism. In addition, one of big advantages of renting and managing vending machines business is little or no need to hire additional employers. Frankly, this business has all the potential to be a very successful family owned business and if manage with discipline and responsibility, can provide quite an income for a whole household. Maybe the best thing about the vending business is that offers a great deal of flexibility in terms of deciding whether it is going to be full or a part-time job. With this business, you can continue to work for your current employer and still manage vending machines earning few extra dollars. All that you need is little of your spare time and a lot of determination. Taking into a consideration that every business comes with positive and negative sides, we will not be quite honest if we said that this is the perfect opportunity to make money. Like we mentioned above, vending machines are often victims of robbery and vandalism and there is always a hard-to-deal with product distributor that can make maintaining vending machines a tough business to operate. However, real optimists will surpass these downsides and try to seize nothing but the benefits of this business idea.